NORMAN — The Oklahoma football team was up with the sun on Saturday. The Sooners hit the practice field at first light to beat temperatures forecasted to climb near 100 degrees. Following practice, the Sooners took part in the annual Meet the Sooners Day. 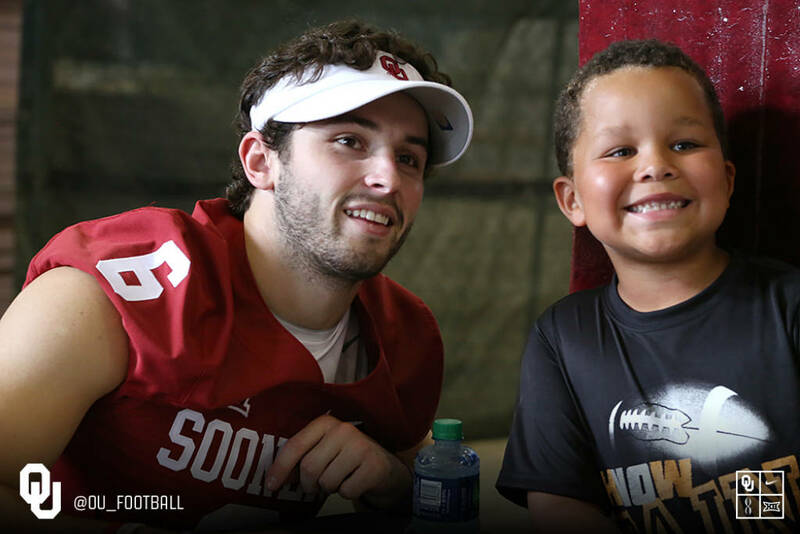 The free event gave OU fans a chance to interact with their favorite players and coaches. Those in attendance ages 14 and younger were able to get autographs. At the conclusion of Meet the Sooners Day, coaches and players turned their attention to the media. They ran through a gauntlet of photo and video shoots before addressing reporters about the coming season. Opening comment: “I feel like we’ve got a really solid football team coming off last year. Overall, we’ll be further along offensively in our system. We lost the most players on our interior line, but I feel good about the young guys coming up in those positions. Bobby Evans, Ben Powers and Cody Ford have all looked really good in the spring and summer. At receiver, of course everyone asks about replacing Sterling (Shepard). You don’t replace a guy like Sterling, but I do believe guys like Dede Westbrook will have an opportunity to make bigger plays. The overall group though will be a stronger unit than a year ago with the added experience. Mykel Jones, a young freshman, has really been showing up. I’ve loved seeing Jordan Smallwood coming up off that knee (injury) a year ago.